Re-inhabit A.R.I.D, right where the award winning story of The Fall left off. A truly bizarre world and story await you. It's a side-scroller for a new generation. 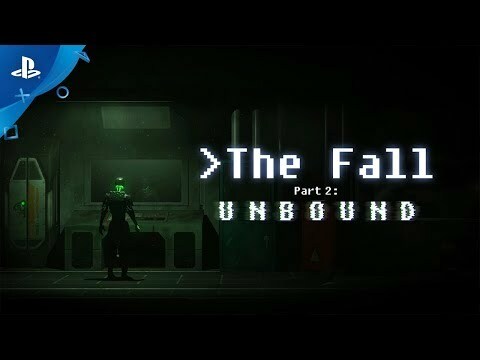 The Fall takes traditional run-n-gun action and adds a new dimension with interactive point-and-click style puzzles, all integrated with fun and rewarding combat. After the unhinging events of part 1, ARID’s very existence is threatened when she is ejected from her body and projected onto a vast global network. In a desperate attempt to save herself, ARID invades and attempts to control several other robots she finds there, each with different personalities and gameplay styles. Will ARID successfully enlist their help before it’s too late? One thing’s for certain – the process will change her. © 2016 Over The Moon Games Inc.